We invite you to a traditional pork feast that we're going to prepare from 21 to 26 February. Come to taste typical Czech carnival specialities like crispy pork cracklings, pork soup, Czech pork brawn with onion, fried bread or blood sausage. So tasteful with beer! You can book your table on provoz@upinkasu.cz, 00420 221 111 152. Tables sagging under our chef's specialties, cold and hot buffets, unlimited consumption of Pilsner Urquell beer and Znovin wine, live harmonica songs throughout the evening and disco at our beer cellar. Best New Year's Eve Party in Prague! Tickets available at the restaurant or on gm@upinkasu.cz, 00420 221 111 151. Price CZK 2016 / person. Like every past year we have prepared your favourite VENISON FEAST at U Pinkasů Restaurant. 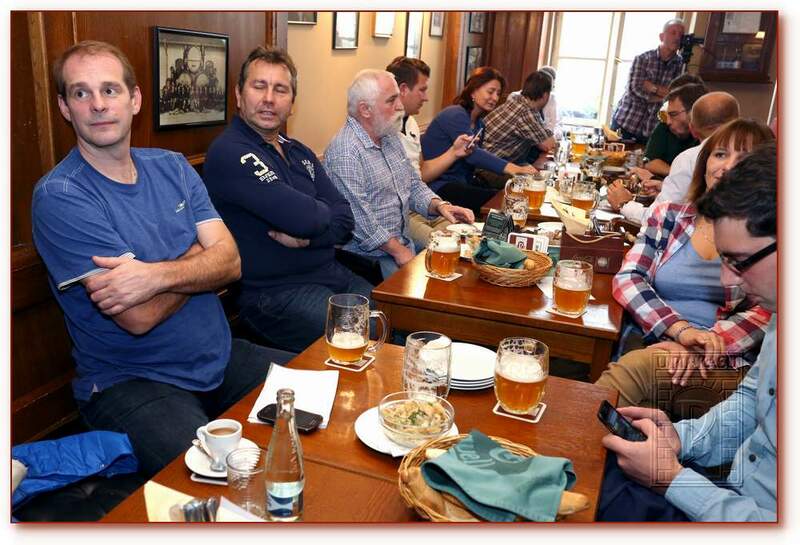 You are welcome to visit us and taste the traditional specialities accompanied by our renowned Pilsner Urquell beer in the period between 27 and 31 October 2015. We are looking forward to your visit! After the trial period we put into full operation the grill and smokehouse on our gothic garden. On 8th of April 2015 the Restaurant U Pinkasů celebrated 172nd anniversary of its establishment. On this occasion we’ve opened the Corner of Václav Havel in the hall of newly renovated Vavrinec kitchen. Come and see at what table Václav Havel used to sit, and enjoy the same specialities of our kitchen as he did. Come to the Restaurant U Pinkasů to celebrate the Easter holidays! We've prepared for you traditional Czech specialities associated with this spring tradition. We'll be glad to welcome you and treat you with our traditional Easter menu which you can enjoy from 2nd to 6th of April 2015. We are looking forward to meeting you! Like every past year, also in 2015 we have prepared your favourite PORK CARNIVAL at U Pinkasů Restaurant. You are welcome to visit us and taste the great pork specialities accompanied by our nicely cooled world famous Pilsner Urquell in the period between 11th and 15th February 2015. We are looking forward to your visit! Come and taste our venison homemade specialities with glass of excellent Pilsner. Daily after 5 p.m. !